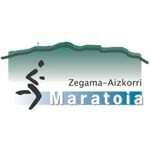 The 2017 Zegama-Aizkorri Marathon starts this Sunday morning, May 17, at 9 a.m. local time in Spain (CEDT), which is Sunday at 1 a.m. MDT in the U.S.
We’ll be livecasting the event on iRunFar’s Twitter feed y también estamos cubriendo en Español. We’ll also be combining our twitter feed with other possible news sources below. In addition, we’ve embedded the race’s live video stream below. Please consider making a donation in support of our coverage of Zegama. Thank you! This year, we believe the race organization will be providing live video from various points along the course. The race’s feed is embedded below.